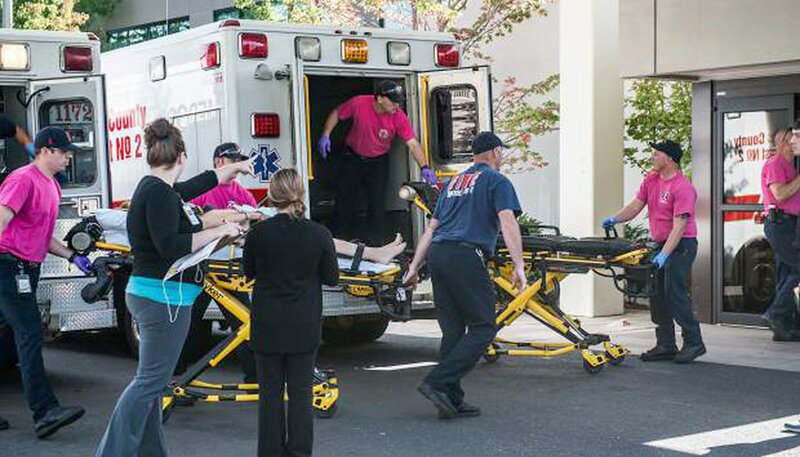 ^ routine it is : first responders rush victims of Oregon shooting to hospital. Yet another mass shooting, at a school, and yet more outrage : words are as easy as it is to shoot and kill anyone a shooter pleases. This time it is Oregon, where only last year legislators who sought to stiffen the state’s gun laws found themselves picketed at their homes and intimidated by threats. Where will the next mass shooting occur ? And the thousand such shootings after that ? It makes no difference. We know by now that although at least 90 percent of Americans want significant restrictions on the availability of guns, nothing will be done. After the sandy Hook shooting, the President and some Senators tried. Their effort was snuffed out quicker than a cough. The organization that represents the gun makers saw to that. After every shooting, gun sales boom. Is it any wonder that the organization that does the gun makers’ bidding loves to see such shootings take place ? They love “open carry’ and want it everywhere — schools, malls, stores, even churches and bars ! I have no words. None. It cannot be real. After every such shooting, this small but rabid force of gun-toting anarchists gets aboard social media intimidating, grossing out, trolling, vulgarizing anyone andc everyone who wants to abort their fetish. That’s all it takes. The troillers, vulgarizers, intimidators, and grossers talk in lies a mile long. They misapply the Second Amendment, which means nothing at all that they pretend it means; they talk about fighting our national government — thereby proclaiming themselves enemies of it. They say “patriot” as often as a sick person sneezes –debasing a term they have no idea the reference of. They post pictures of the nation’s flag and of 1775’s Minute Men, as if they were heroes of the Revolution 240 odd years ago : yet they are deserters from the evolution that our nation undergoes every minute in search of social justice. Selfish and hateful, bullies and fearful, the trolls of gun fever live in destructive contradiction bringing our nation to anarchy Yet nothing will be done. Because the 90 percent of us do not dare. Every other developed nation has serious restrictions on the availability of guns. 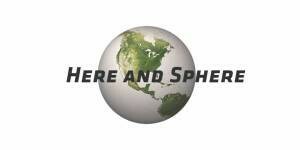 Every other developed nation has far, far, FAR fewer gun shootings they the U.S.A. What do we lack that they know ? Nothing will be done. Not now, not ever. There will be more mass shootings, thousands of shootings. Teachers and kids will be armed. There’ll be armed vigilantes everywhere. Public places will become as sealed off as prisons — of course. But it will not matter. Guns everywhere will pervade everything. People in cocoons will die just the same in shoot-outs. One by one, twenty by twenty, and the more of us who are shot, the surer it is that gun restriction legislation will fail — will not even be submitted. Eventually all will be anarchy, and the gun makers will celebrate booming sales to an epidemic of suckers in the line of fire. All sorts of dodges will rise up. It’s a mental health problem ? Hoo hah. It’s kids being kids ? Ya hoo. It’s the illegals and the Muslims ? Wee wee. Look at the shootings in Chicago ? Eww eww. But as for those who say that less guns equals less killings ? Hey — that’s un-Amurrican, dude. We’re all hepped up about women who decide to abort a pregnancy. That cannot be allowed, heavens me no ! But mass shootings by folks with guns ? Yo ! Dat’s patriotic.